During a recent fundraiser for her mother’s presidential campaign, Chelsea Clinton told supporters that she finds it “insulting” when others cast doubts on her mother’s claims of being a Christian. Clinton said she doesn’t appreciate when her family’s faith is questioned. “I find it quite insulting sometimes when people say to my mom, my dad or me … that they question our faith,” she stated, according to Page Six. As her mother was raised Methodist and her father Baptist, Clinton outlined that she has attended the services of both denominations. According to reports, the Clintons attended Foundry United Methodist Church in the 1990’s when Bill Clinton served as president. United Methodist congregations are generally pro-abortion and do not believe that homosexual behavior is sinful. Planned Parenthood President Cecile Richards is also currently in Nevada to hit the campaign trail with Clinton in the name of “reproductive rights.” She stumped for the presidential candidate in earlier this month Iowa. Clinton has suggested that she views the Scriptures as providing more of a “social gospel” mandate to help the poor and needy. 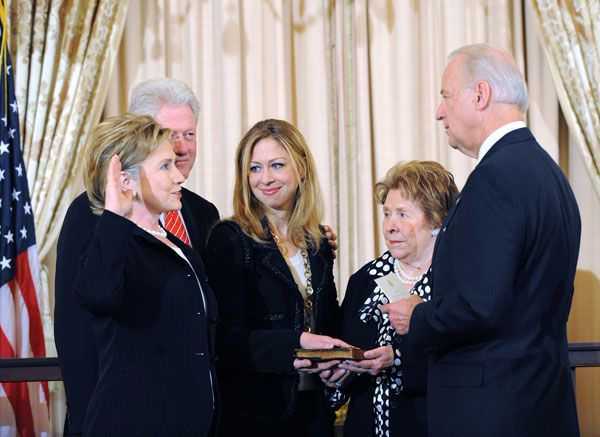 As a result of her positions on the institution of marriage and the sanctity of life, as well as other aspects, some have stated that Clinton’s life does not comport with that of a biblical Christian.